Hey Party People! 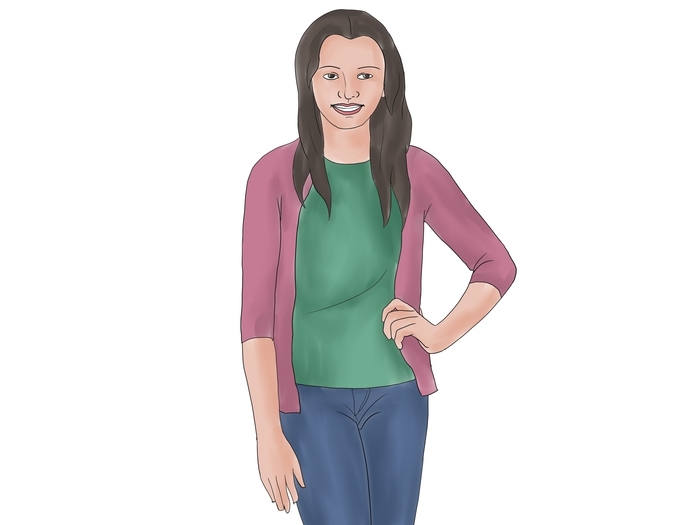 Want to learn more about how to dress like Emma Ross from the Hit TV show on Disney Channel, Jessie? Well, you have come to the right place, so keep on reading! Hair. Emma has beautiful blonde hair. It always looks great, shiny, and healthy! 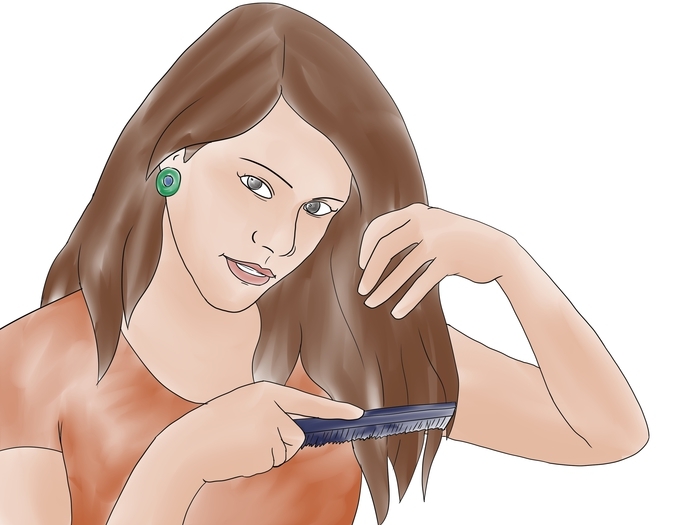 She often pins sections of her hair up, straightens it, curls it, or has it wavy. She does not crimp her hair but you can almost always see her with a stylish up 'do. To pull off this fashion icon's hairstyle, you should have it blonde. If you only want the style and not the color, then you should have it straightened mostly, sometimes have it wavy, and rarely curl it. You can also have it in a simply high ponytail, or have it in a side braid. Also, Emma loves headbands. She usually wears headbands but if you don't want to wear headbands or sometimes wear them, she also often has her side bangs braided and pinned up. You can do this also. Be sure to keep your hair healthy, wash it every other day, and leave in conditioner for at least three minutes when you shampoo your hair, while you are washing your body in the shower. You can also add some volume to your hair, and she sometimes likes to curl the ponytail that she has. Keep it healthy, styling, and fun! Makeup. Emma's makeup is bright, girly, and natural. If you want to wear lots of makeup, you should wear foundation, concealer, light pink blush, girly eyeshadow, brown eyeliner on the upper lid, mascara, light lip liner, and some pink, or just girly, natural lipgloss or lipstick. If you don't want to wear lots of makeup, you should wear mascara, concealer, foundation, lipgloss/ lipstick and lip liner. How to Pull Off Her Fashion Sense. Emma has a very unique fashion sense. Follow the key steps below on the main fashion pieces that this fashion icon has set to be a styling new trend. Be confident, fun, upbeat, and still yourself! The Jackets, Blazers, and Sweaters, Oh My! Emma loves to wear blazers. She often wears blue, pink, and red blazers. You can rock that blazer look with just a nice, one solid colored blazer with the key tips below to have a total "Emma Ross" look. Emma also loves colored leggings and loose shorts. She loves to match parts or most of her outfit. She also likes to wear some jackets and at times, a nice girly sweater. You can wear a jacket (sweater, blazer, etc.) 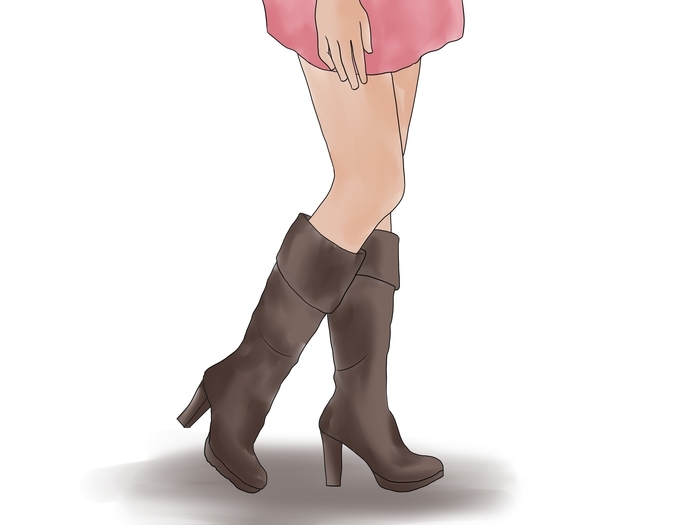 with a girly top, colorful undershirt that is one color, jeggings, knee socks, and combat boots. She also loves flats. 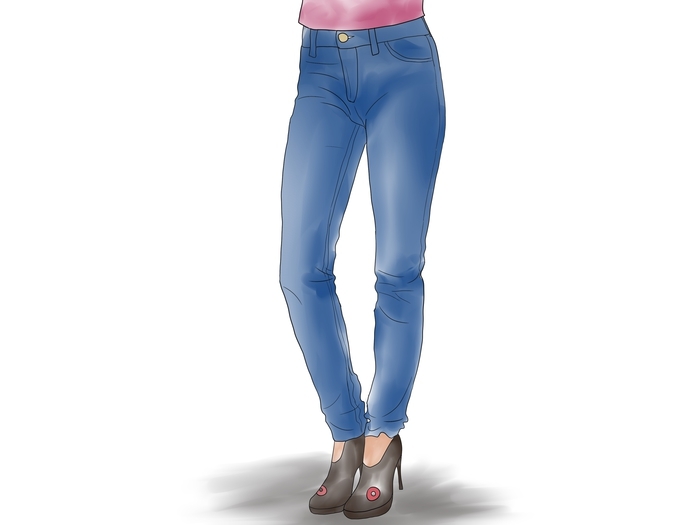 If you want a unique, but Emma Ross-esque outfit, you could wear light purple jeans, a striped shear top with Easter colors, and purple ballet flats, if you would like to punk it up, there are flats with spikes on the back that you can purchase at stores, but don't worry- they are not actual spikes. You can also mix and match her other looks for another outfit with some more variety of her key fashion sense. Make it colorful and girly! The tops. Emma loves to wear white or blue lace tops. She always wears these with blazers, and sometimes scarves. She also likes wearing colorful, girly long-sleeved, one-colored shirts with a fancy vest, jacket, or even just a long, shiny necklace! To wear this spectacular look, you can wear a jacket, lace top, long necklace, dark skinny jeans, and some boots. You can also wear tights, leggings, jeggings, knee socks, stripes, combat boots, and more! Jeans, Tights, and More! You can almost always see Emma wearing jeggings. She likes wearing these, skinny jeans, tights, and leggings. She also wears shorts, often with leggings, which you will see in the section below. To wear a look like hers including those rockin' pants, you can consider wearing knee socks and boots to go with it. She doesn't often wear belts and never suspenders. The shorts, and maybe leggings: This fashion icon loves to wear those perfect shorts, especially with tights or leggings! To wear this look, you can wear denim or even brown shorts with colorful tights or leggings. She likes knee socks and boots to go with! The Knee Sock Thing. Emma adores knee socks. 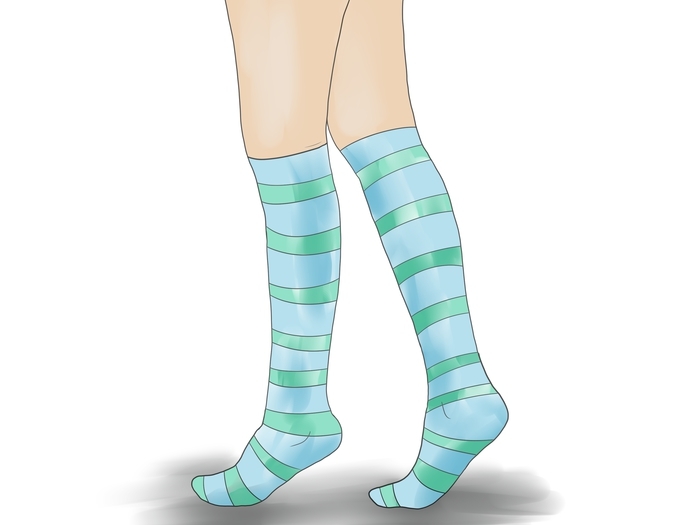 She wears striped knee socks a lot. You can wear knee socks with tights, leggings, jeggings, or skinny jeans. You can also wear them with shorts and any of these options. Make it your own style but add that "Emma Flair!" Boots and Other Shoes. Emma wears combat boots a lot! She wears them with knee socks, jeggings, you know what I mean. You can add some brown combat boots (she wears brown ones) to any wonderful outfit to be more like her. You can also add boots to the skinny jeans without even wearing knee socks. Emma also wears combat boots, or regular boots with shorts & leggings together. Be fun and confident while wearing this look! Always be smiling and confident with your new style. Emma wears quite a lot of jewelry. She will wear a pendant and other even longer necklaces. Try getting long necklaces with a bow or the Eiffel Tower at the end! Try to include jeans, tights, and more in your wardrobe. Have a variety in your hairstyles each day. 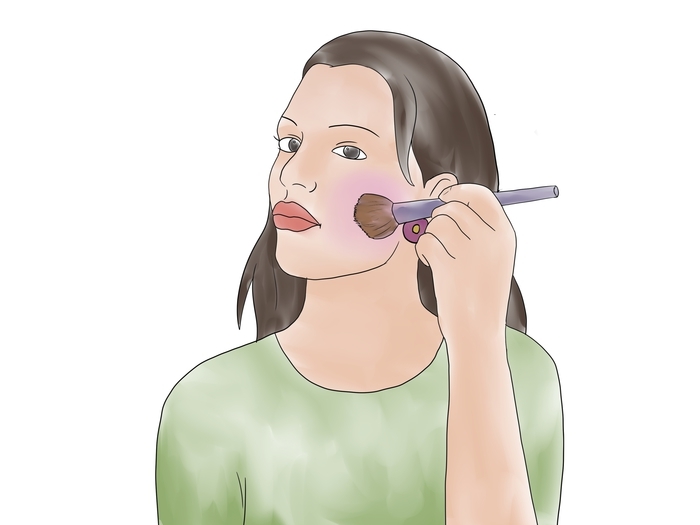 You may wear lots of it, but keep makeup looking girly and natural. Remember, Emma is a delicate girly-girl. She will never be seen wearing anything that is punk-rocker, or anything else that is boy-like. Have your hair pulled back a little. Emma really likes pink, so keep that in mind as you choose that color of clothing. Wear lots of blazers that are one, girly color. Try to find jeggings when they are in. Wear combat boots or regular boots more often. Don't tell everyone or anyone you are planning on dressing like her. If you try an outfit and it turns out to be a fashion fail, have another backup outfit just in case. Don't entirely change your style. NEVER, EVER, EVER, EVER, EVER dress like a tomboy.